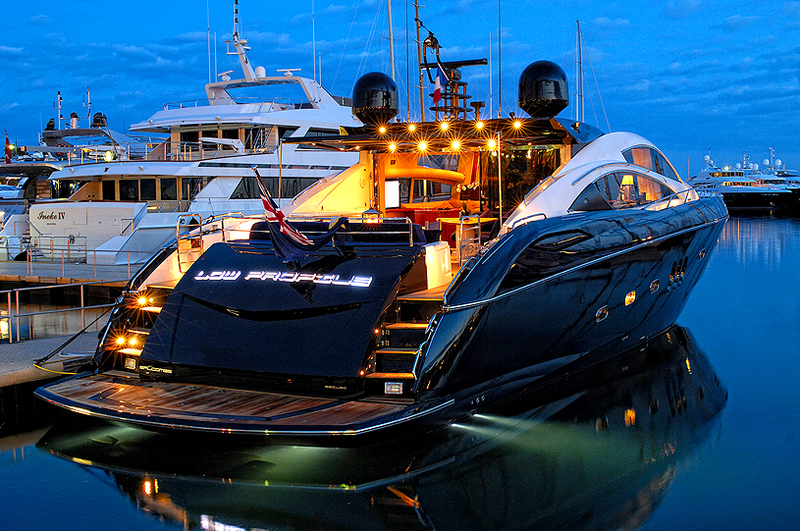 Motor yacht LOW PROFILE is an 82 foot Predator Sunseeker that was built in 2007 in Poole, England. 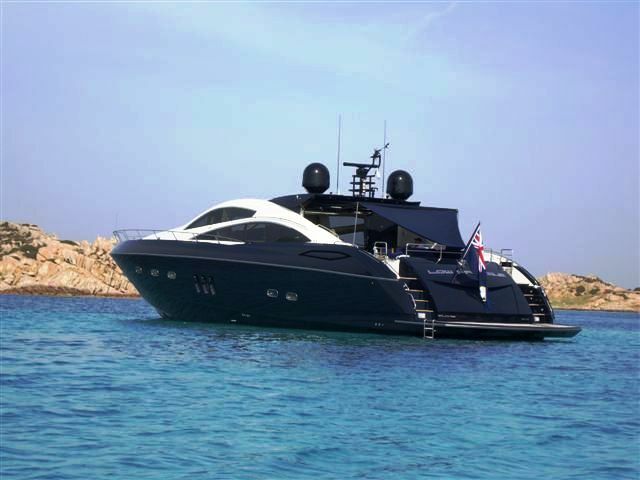 She is the last of her kind to be built and with a custom paint job like no other; she certainly turns heads and stands out from the crowd. 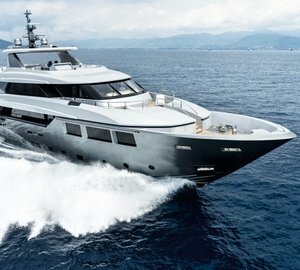 Powering her through the water are 2 x 2400hp M.T.U. 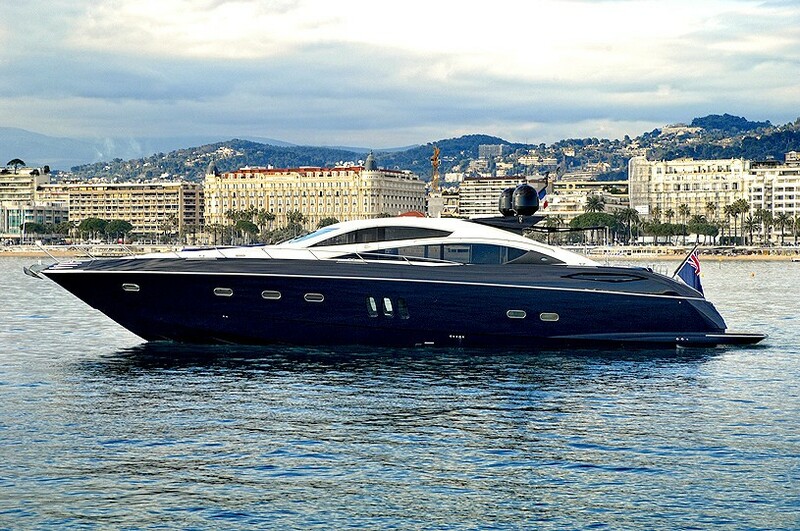 engines giving her a top speed of and incredible 50 knots. 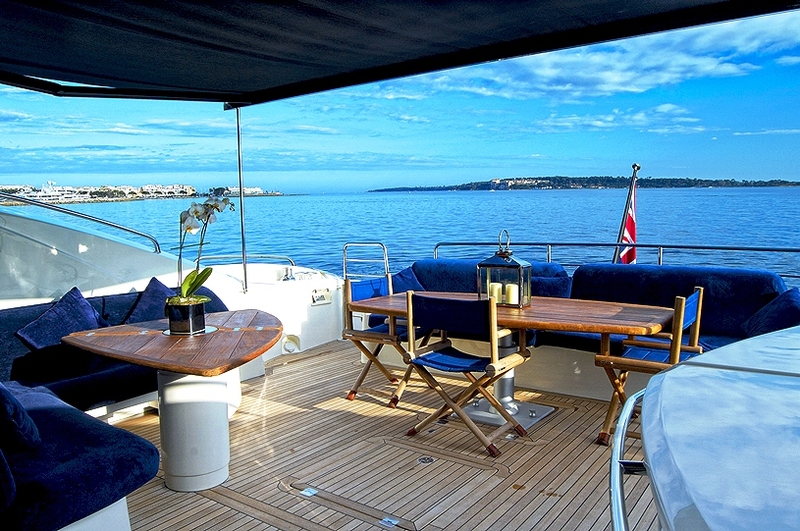 With speeds like this locations and destinations along the French Riviera, Corsica and Sardinia are never too far away. 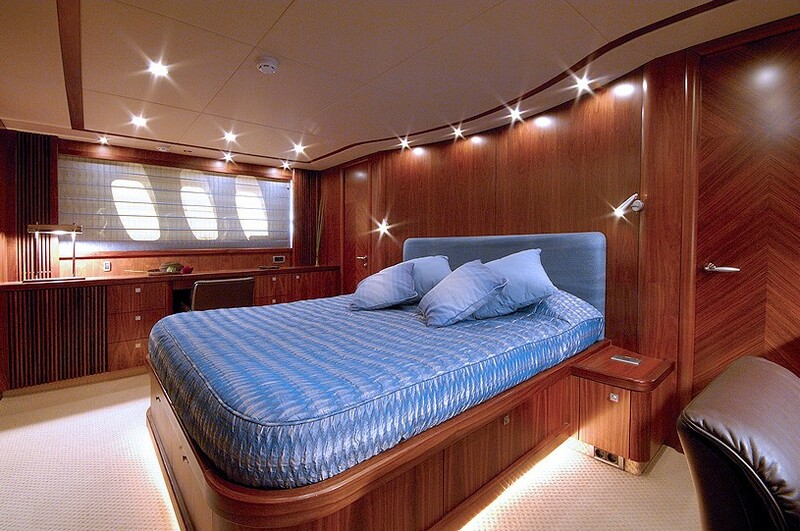 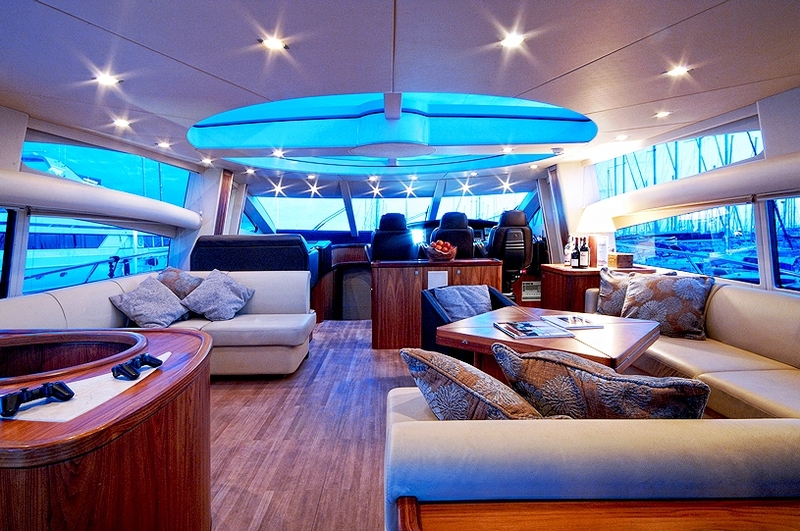 Luxury motor yacht LOW PROFILE is 24,00m (78' 8") in length and offers opulent accommodation for up to 6-8 guests. Her cabin configuration consists of 3 staterooms plus a small bunk cabin suitable for staff or children, all with en suite bathrooms. 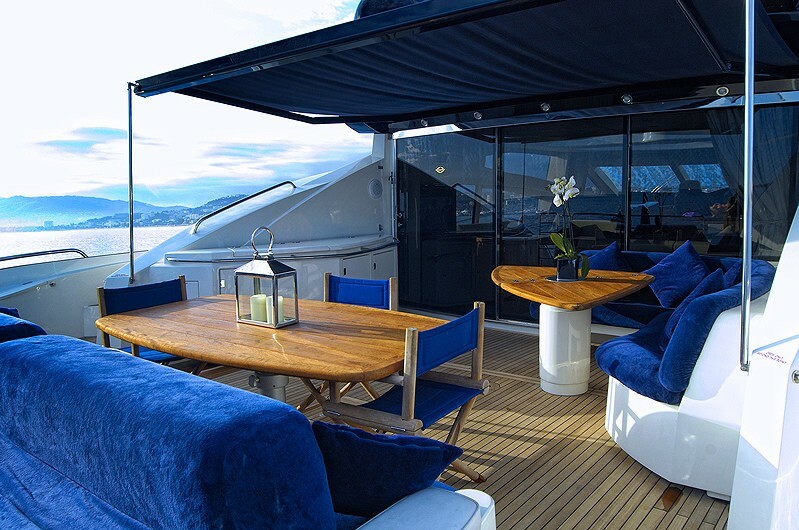 Her large saloon area offers two seating areas inside, while just outside on the aft deck there is a large table for dining in the sun or under the starry night. Large sunbathing areas forward and aft gives the choice of a relaxing under the Mediterranean sun or perhaps you would prefer to get stuck in to the garage of toys including jet skis, a jet rib for water skiing or wake boarding, plus snorkelling gear to name a few. 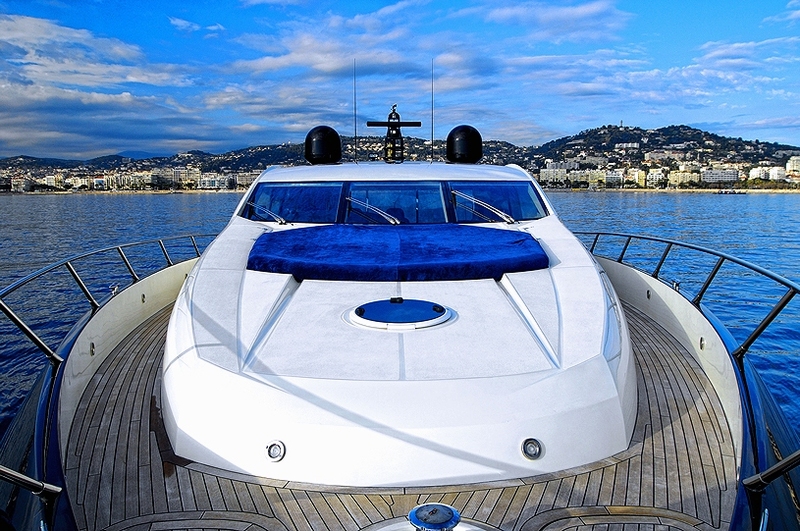 Whether you love the exhilaration of a fast cruising vessel, or a more leisurely pace, a charter on LOW PROFILE is sure to please. 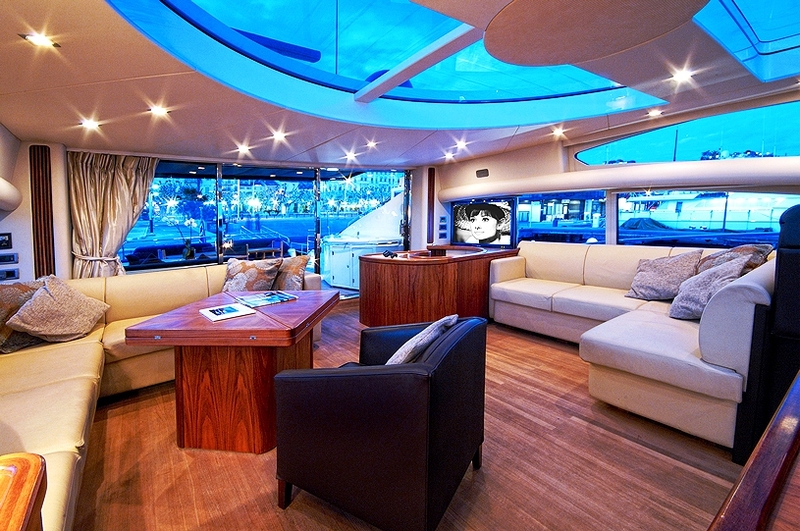 The yacht is based in Cannes however is available throughout the Mediterranean. 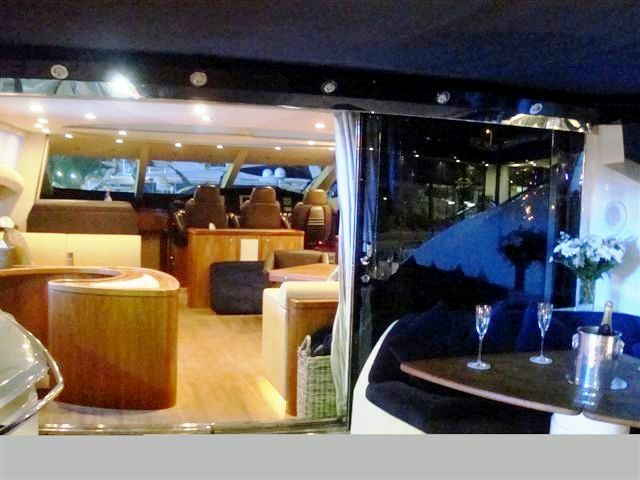 So whether you are interested in cruising from Portofino to Monaco or Monaco to St Tropez for lunch or wanting to see the hills of Corsica and the crystal clear waters of Sardinia - a charter on LOW PROFILE will get you there quickly and in style! 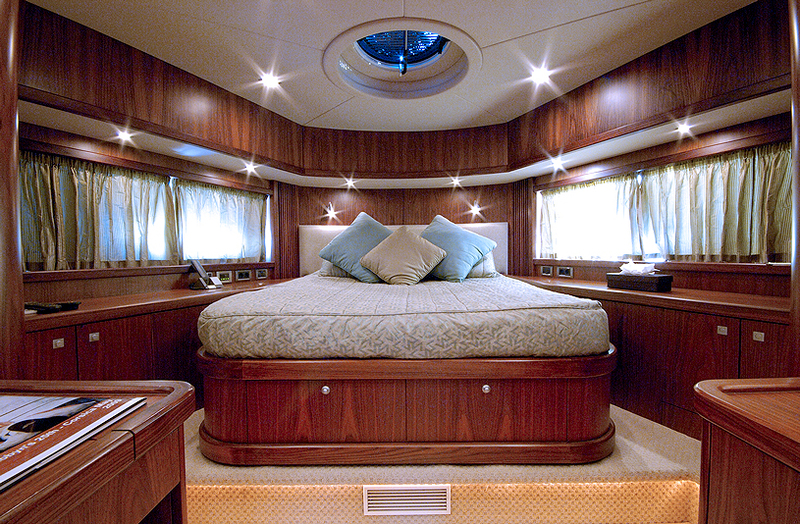 Luxury motor yacht LOW PROFILE offers opulent accommodation for up to 6-8 guests in 3 staterooms plus a small bunk cabin suitable for staff or children, all with en suite bathrooms. 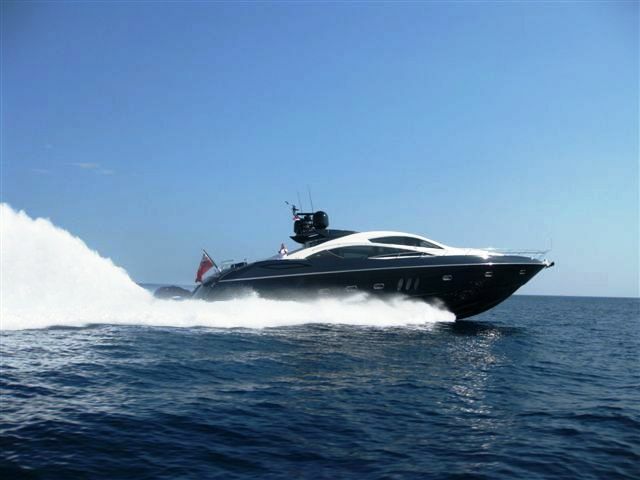 The 82 foot Predator Sunseeker LOW PROFILE has the following amenities: Tenders and Toys include a Williams 325 Jet Rib tender, a stand up jet ski, 1 sit down jet ski, 2 canoes, water-skies, wakeboard, inflatable’s, diving and snorkelling equipment. 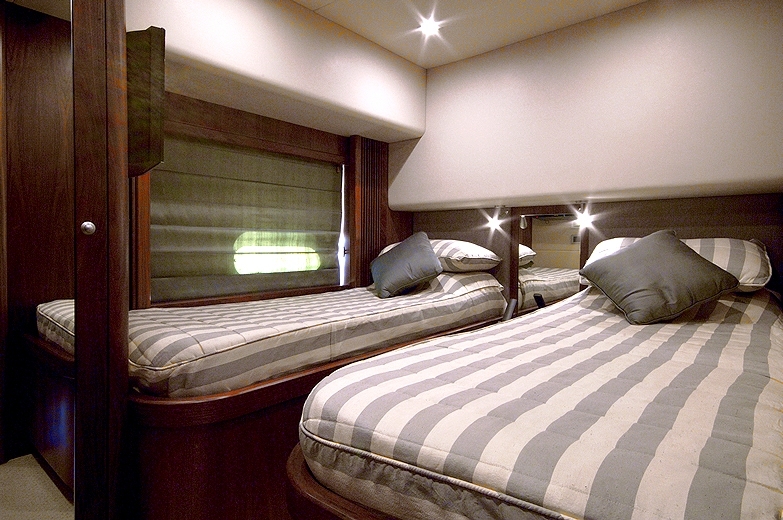 Audio Visual Equipment and Deck Facilities include A Large Plasma screen TV, Sky TV, DVD, Bose surround system and iPod docking system in the Master cabin, A large Plasma screen TV, Sky TV, DVD, Bose surround system and iPod docking system in the VIP and a Flat screen TV, Sky TV, DVD, and iPod docking system in the Port / Starboard guest cabins. 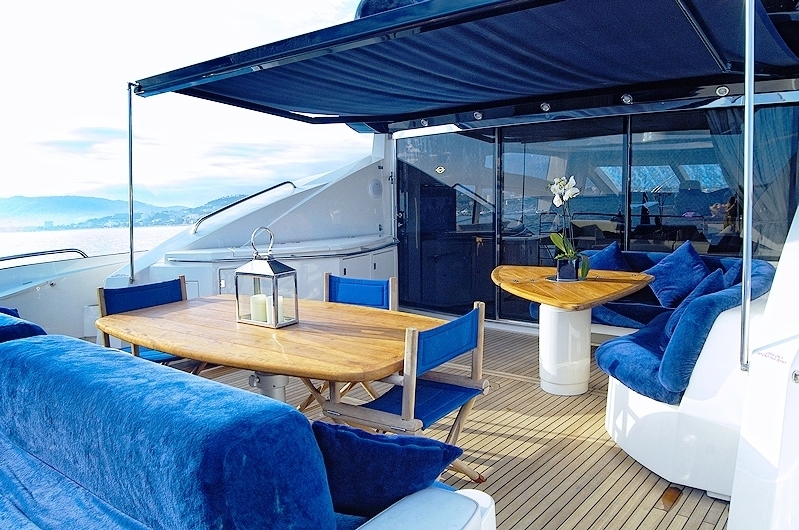 The Aft Deck features a Bose zone including iPod and the Saloon has a large Plasma screen TV, Sky TV, DVD, Bose surround system and iPod docking system. 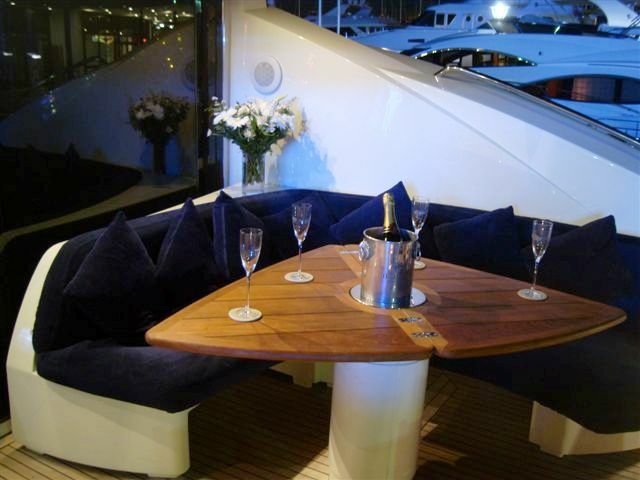 The Aft Deck Bar is equipped with an Ice maker, drinks cooler and BBQ.